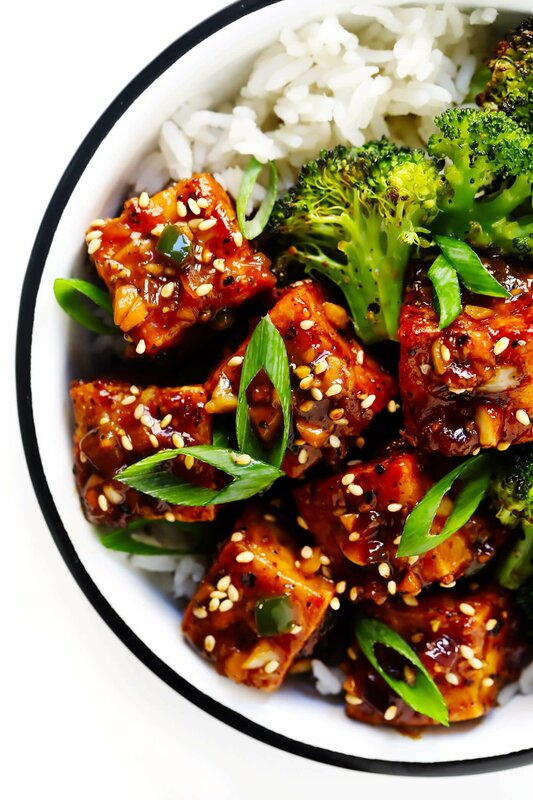 An unbelievably delicious tofu stir-fry, made with my easy baked tofu recipe and tossed with the most heavenly garlic black pepper sauce. 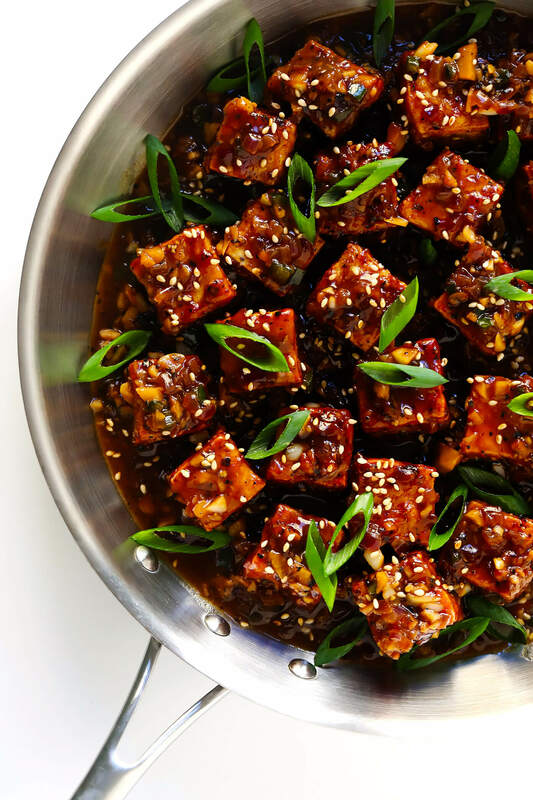 Barclay and I have been tinkering around with this one for the past few months, ever since we had dinner with some friends this summer who served us a version of Ottolenghi’s black pepper tofu. We instantly fell in love and ate every bite, and and then ran home to try making the recipe ourselves. (Since, as I mentioned last week, this vegetarian husband of mine loves his tofu.) But when we looked it up, the recipe called for a bunch of ingredients that we didn’t have on hand and was also quite time-intensive. So we modified a simpler, speedier version of our own. And in the months since, we have tweaked and tweaked our recipe until it was just right for us. And oh my goodness, it is a total winner. 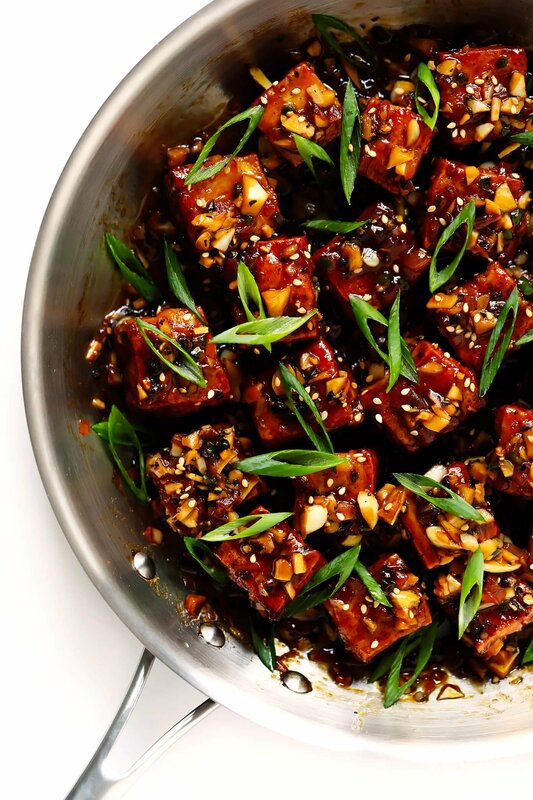 We absolutely love this tofu! 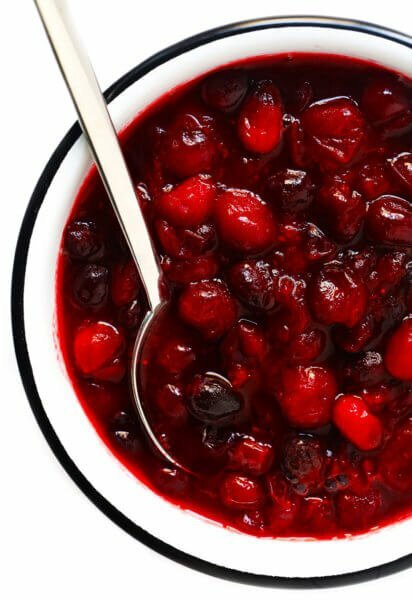 It’s full of bold, savory, garlicky flavors, plus a nice hint of sweetness. It can be as spicy or as mild as you prefer. It’s nice and hearty, yet still naturally vegan. And wow, is it delicious. I’ve been excited to share this one with you for awhile, so I’m happy that today is finally the day! Let’s make some tofu! 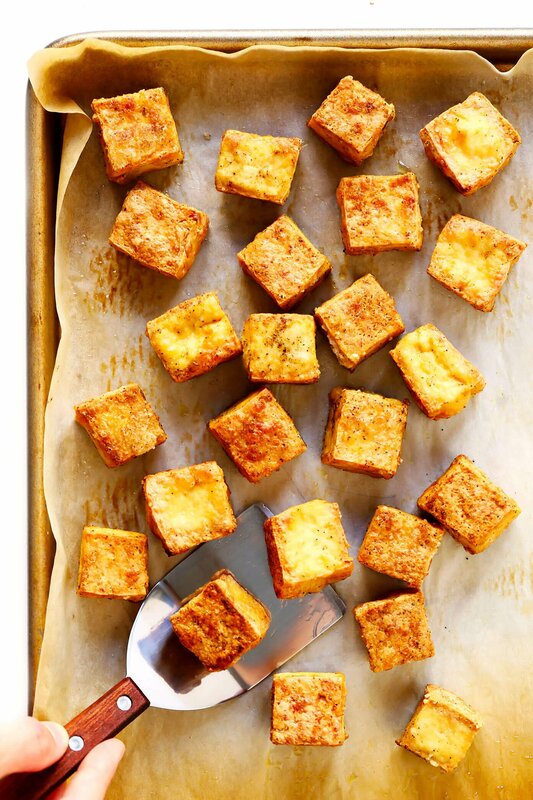 How to make crispy baked tofu. Tofu: One block of tofu, either firm or extra-firm. I also strongly recommend buying organic tofu, if it’s available. Oil: Olive oil, or whatever your preferred cooking oil may be. Cornstarch: This is the magic ingredient that helps make tofu (as well as many other foods) extra-crispy in the oven. Garlic Powder / Salt / Black Pepper: Just a few simple seasonings. Red onion: Or Ottolenghi used shallots; either will work. Garlic: Yes, this recipe calls for loads of garlic. Yes, I 100% recommend using it all. Jalapeño: Or Thai bird chiles, whichever kind of chile you happen to have on hand. I’ve made it with both. Butter or cooking oil: If you’re not making this vegan, I love the extra flavor of the butter. But if you are going dairy-free, you can substitute vegan butter or your preferred cooking oil. Soy sauce, maple syrup, ginger, cornstarch and water: To form the base for the sauce, thickened slightly with cornstarch. 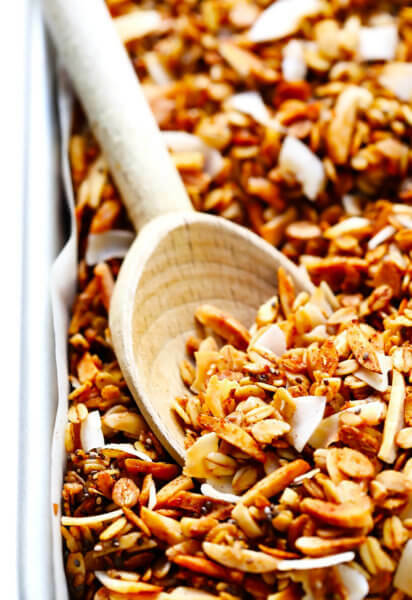 Toppings: We love this with lots thinly-sliced green onions and toasted sesame seeds. Prep your sauce ingredients. As in, chop a million cloves of garlic, a small red onion, and a jalapeño (or two). Then whisk together the base for your sauce (water, soy sauce, maple syrup, black pepper, cornstarch and ground ginger). Cook the sauce. Sauté the onion, garlic and jalapeño until they are all nice and soft and fragrant. Then add in the soy sauce mixture and simmer until thickened. Serve! Garnished with lots of green onions and toasted sesame seeds, if you’d like. Make it spicier/milder: As always, feel free to add more/less chiles to make the recipe spicier or milder. Make it sweeter: If you’d like a sweeter sauce, just add in more maple syrup. 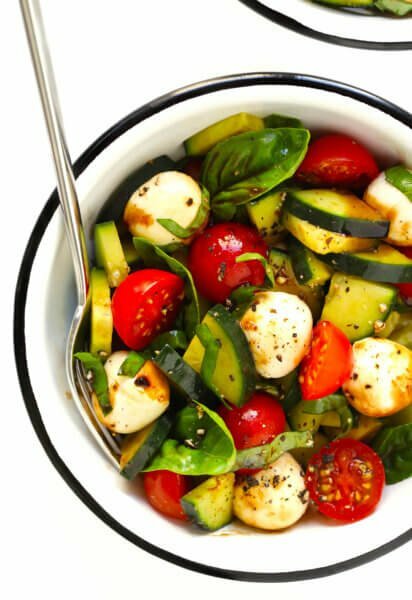 Add a hint of sesame oil: We also occasionally love adding in a drizzle of toasted sesame oil too, to give this a slightly nuttier taste. Double the sauce: Want a saucier dish? Just double the amount of water, soy sauce, maple syrup, black pepper, cornstarch, and ground ginger. Prepare your baked tofu according to recipe instructions. Meanwhile, as your baked tofu (above) is draining and later baking, prep all of your ingredients for the black pepper sauce. In a small bowl, whisk together water, soy sauce, maple syrup, black pepper, cornstarch and ground ginger until combined. Set aside. In a large sauté pan, heat the butter (or oil) over medium-high heat until melted. Add the red onion and jalapeño, and sauté for 4-5 minutes, or until softened, stirring occasionally. Add the garlic and sauté for 2 more minutes, or until fragrant, stirring occasionally. Slowly pour in the soy sauce mixture, and stir until combined. Continue cooking until the mixture reaches a simmer and then thickens. Remove pan from heat. 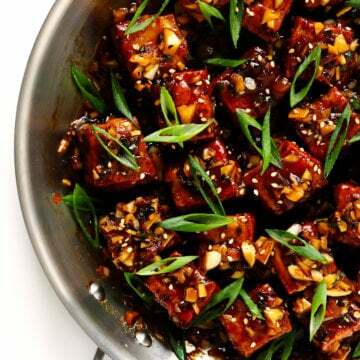 Add in the baked tofu, and toss until it is evenly coated in the sauce. Serve warm, garnished with lots of toppings as desired. *Keywords: coarse and freshly-ground. If you use the finely-ground black pepper that’s found in typical pepper shakers, you will need to use significantly less pepper here. Adapted from Ottolenghi’s black pepper tofu recipe. I’ve been looking forward to this recipe ever since the sneek peek of it last week on your baked tofu post. Like your husband, I love my tofu ;) Anyway, saving this for dinner later this week when my fiancé come back from a work trip! Yayiee! The wait for this recipe is over! This looks so good Ali. Thank you for sharing this. Trying super soon. So nice that Barclay is vegetarian. Thank you so much. Love your recipes and hearing about your exciting life. Love the sound of the sauce!! Could I use it with chicken ? Not sure how my family would like the tofu..although I can try it!! your recipes are so tasty! Sure thing — it would work with both! :) And thank you! I love tofu but I’ve never cooked it myself. I’ve kind of been scared to since I didn’t know how it would go but your recipe makes it look so easy! I’m definitely going to give it a shot. Neither my husband nor I are vegetarian, but I’m trying to get us to eat healthier and cleaner so thanks for this amazing looking recipe! I can’t wait! Thrilled that you’re sharing tofu recipes now! Can’t wait to try this one! 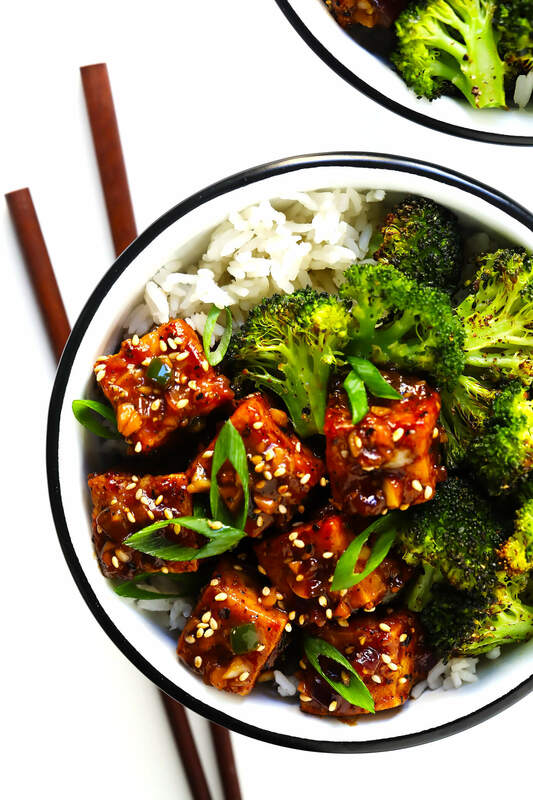 Oh my gosh I’m not a tofu girl but I’d make this with chicken or beef any day of the week! YUM! wow, have never been so enticed to make a tofu dish as I am with this one, garlic was the clincher, thank you! Oh my, I made this recipe yesterday and it is soooo my new favorite dish!!! Thanks for sharing another great recipe! I am one of these readers that never leaves a comment, but today I thought: let me tell you how delicious your recipes are! Oh wow, I made this yesterday (and also followed the recipe for baked tofu) and it is amazing! My husband wants to try it out on chicken now. The sauce was so easy to make, but so flavorful. Thank you for a great recipe! Whoa! WAY too much black pepper for me…it has A LOT of black pepper. Next time I will reduce the pepper on the baked tofu recipe and also on the garlicky tofu. I also used half a jalapeno and that was still too hot, will eliminate next time. I also automatically doubled the sauce, I like the sauce to seep and coat my rice…just a personal preference. But, I would not say this was garlicky, it was all pepper. So, I gave it a 3, maybe 5 when I make more to my taste. Thanks for the great recipe! what fun Great new foods for my kitchen. AMAZING! Tasted like take-out and was sooo easy to make! I added bok choy and red pepper to mine for more veggies. I might cut the black pepper just a smidge next time, but solid. Really enjoyed it! Made it, was good but just seemed to miss something and I don’t know what it was. So my husband and kids (10 & 7) asked what smelled so good when they came in for dinner; I answered “Magic Garlicy Tofu.” They all asked what was magic about it, and I replied I didn’t know. We then proceeded to eat dinner, and now we all know why it’s called magic. HOLY COW, was this delicious!!! Served it with rice and roasted veggies. Yum, yum, YUM! Our first attempt wasn’t so successful. I think I may have over-pressed the tofu, which was extra firm. The result was that the cubes were quite hard on the outside. Does anyone who has made this know if it makes good leftovers? I was thinking of using it for meal prepping lunches for the week. It’s an ok recipe, but not worth the effort involved. This is going into the rotation! The best tofu dish I’ve ever cooked – thank you! !